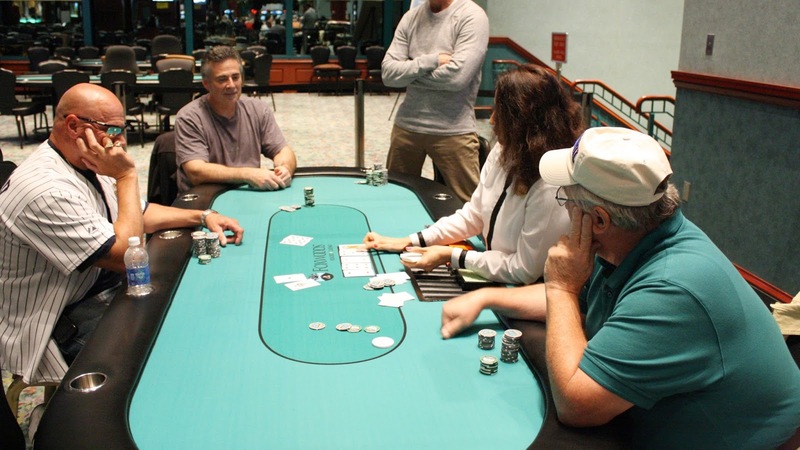 Event #8 $300 NLH Flight A received 135 entrants and 31 players made it through to Day 2 on Friday. Meanwhile, Flight B got 109 entrants and currently 35 players remain at 11:30pm. Only the [5c] could take away the win from Hilary, but the dealer instead placed the [7h] on the river, awarding the pot and the tournament to Hilary. He will earn $11,844 for his finish, as well as the World Poker Finals title. Congratulations, Hilary! 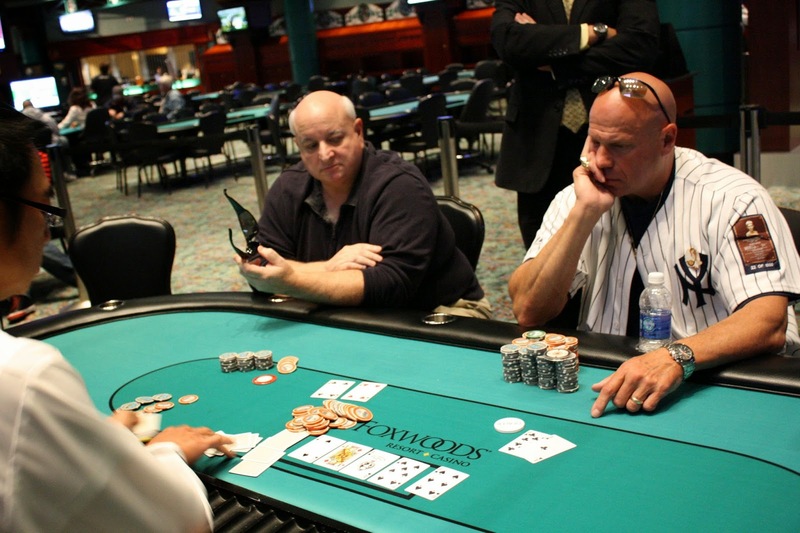 Anthony Campagna was all in preflop holding [Ad][Td] and was up against the [Ts][Tc] of Hilary Dombrowski. The board ran out [2c][5c][9c][2s][8c] to give Hilary the winning flush. Anthony will be eliminated in 4th place, collecting $10,000 for his efforts. On the first hand back from dinner break, Hilary Dombrowski was all in with the best hand in poker, [As][Ah]. He was in great shape to double up against Brad Manter's [Ts][Th], and the aces held up on the [2s][6h][2d][5h][Jd] board. Hilary now has almost a million. After the elimination of Jordan Fishman, the final four have reached a deal. They will each take $10,000 and play for the remaining $1,844 and the trophy. Jordan Fishman was all in preflop and was racing with his [4h][4c] against Hilary Dombrowski's [Ac][Tc]. The [2s][Qd][As] was not favorable to Jordan as Hilary paired his ace. Jordan was unable to find a four on the [7s] turn or [6s] river, and he will exit the tournament in 5th place. He will collect $4,262 for his efforts. From the button, Hilary Dombrowski moved all in and was called by Anthony Campagna in the big blind. Hilary was in rough shape with his [Jc][Ts] against Anthony's [Ks][Jh]. Hilary hit his three outer when the flop fell [Ad][Th][5h], but he still had to dodge a king or a queen to survive. The [8c] was safe, as was the [Jd] on the river. Hilary will double up with two pair and now has just over 300,000. Anthony Campagna was all in with [9s][9d] and was up against the [7d][7c] of Brad Manter. 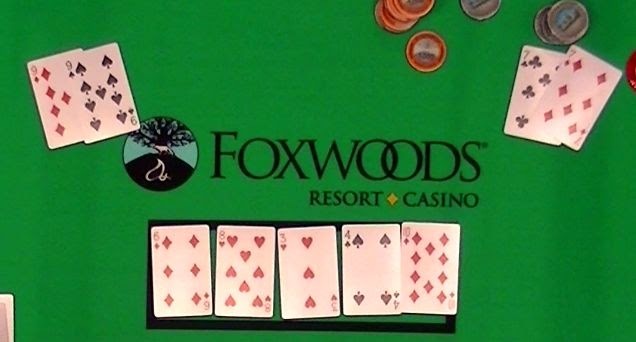 The board ran out a pure [6d][8h][3h][4s][Td] to give Anthony the double up. He now sits on 240,000. 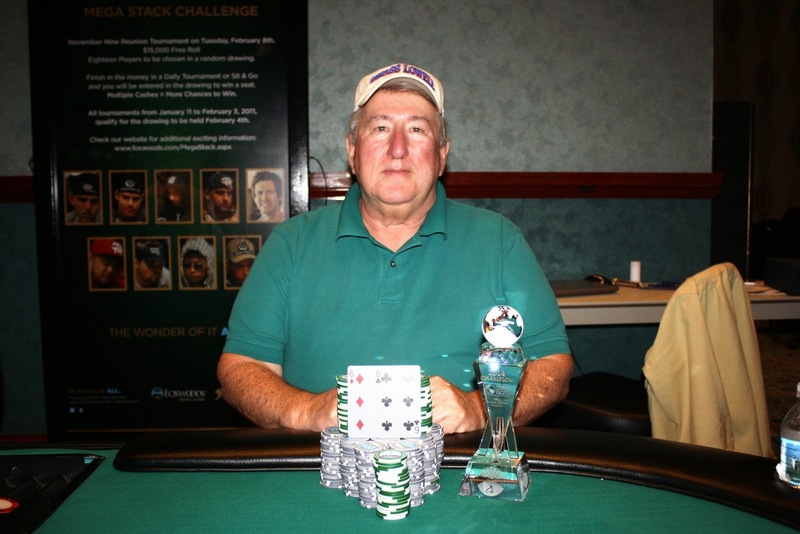 The [7d][Ad][Tc] flop gave John a gutshot to go with his overcard, but he failed to find one of his outs on the [8s] turn or [Ts] river John will earn $2,498 for his 7th place finish today. 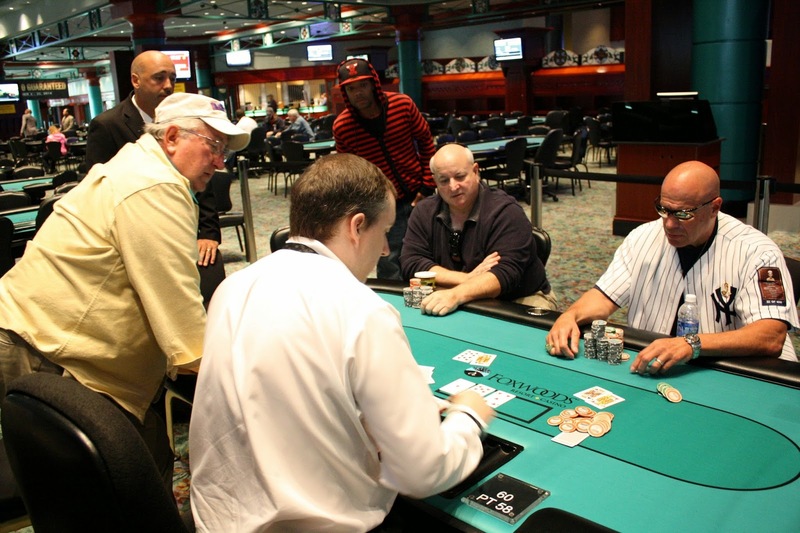 Cards are back in the air for Event #6 $500 Seniors NLH. 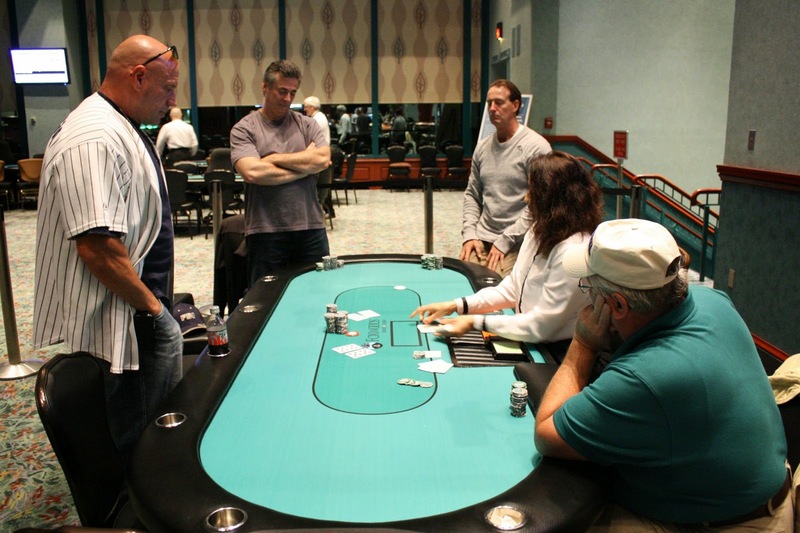 Today is Day 2, and 24 players remain and will be playing down to an eventual winner. 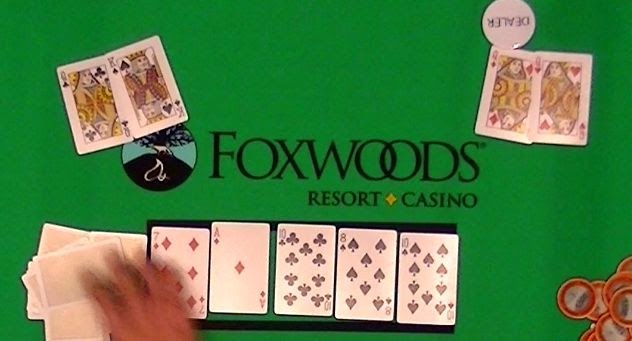 You can watch all of the action at www.FoxwoodsLive.com. Cards are in the air for the first of 4 flights in Event #8 $300 NLH. This tournament has two starting flights at 11am and 5pm for both today and tomorrow, and will combine and play to a winner on Friday, October 10th. 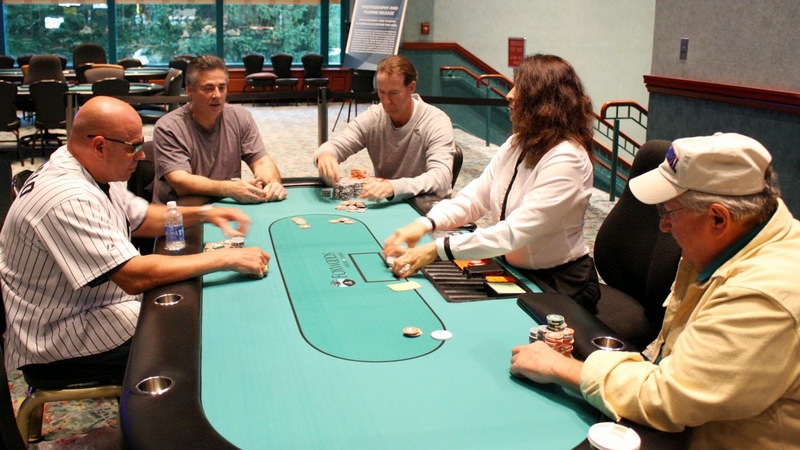 There is a $100,000 Guarantee, and the tournament features 15,000 starting chips and 30 minute levels. A full structure sheet is available here. 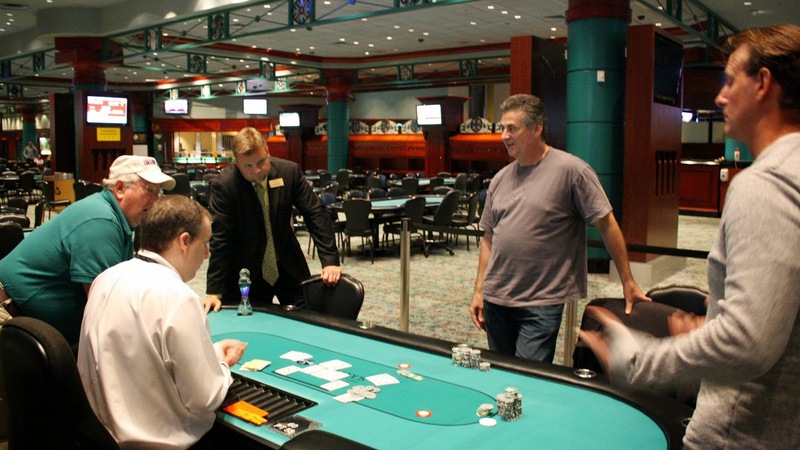 At 12pm, Event #6 $500 NLH Seniors will return and play down to a winner. You can watch a featured table at www.FoxwoodsLive.com.